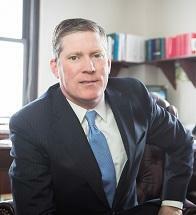 Paul Joyce focuses his practice on business litigation and counseling both large and small companies. Since returning to Western New York in 2001, Paul’s practice has included real property litigation, construction litigation, products liability, civil rights, insurance defense, and defense of municipal entities. Paul has successfully litigated matters in both state and federal trial-level courts, as well as state and federal appellate courts. In addition to litigation matters, Paul counsels individuals and businesses in contract negotiations and employment matters. Paul resides in Buffalo with his wife and three children, and currently serves on the board of directors of the Buffalo United Charter School and the West Side Rowing Club. In addition to the State of New York, Paul is admitted to practice in the state and federal courts of Virginia, Maryland and Washington, DC.